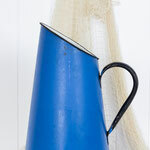 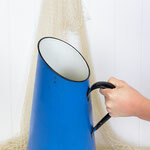 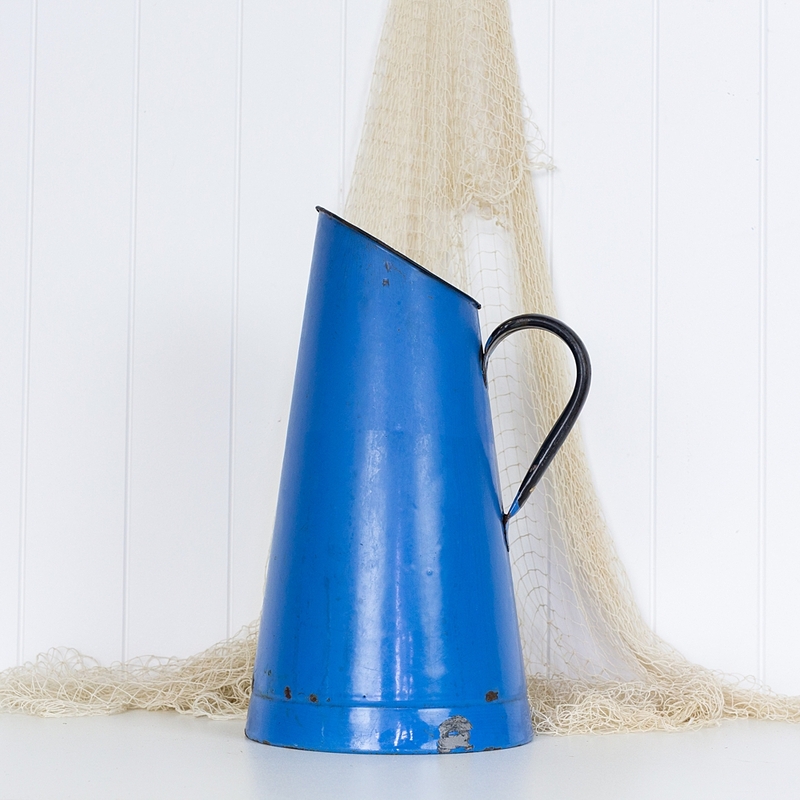 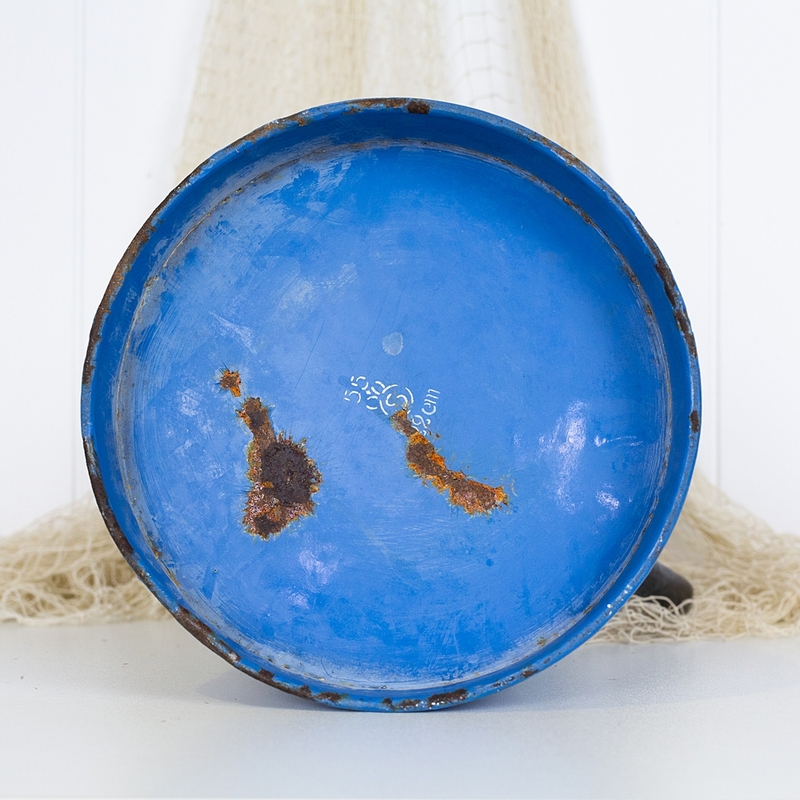 This old enamel French pitcher is a wonderful, deep, blue colour. In good condition it still holds water so could be used for fresh flowers. As you would expect due to age it has some rust spots, but these just add some vintage charm. A wonderful addition to a vintage or country styled home.